Sending old CVs for applications without any updates or renewed focus may not get you many interviews. With this in mind, we have listed five essential tips to focus on when updating your CV. Reviewing and then rewriting a new personal profile is something that needs consideration when updating your CV. A personal profile is a very effective introduction to your experience and skill set, helping the reader to see at a glance, what you can bring to their business and where your strengths are from the onset. If this has not been updated for a number of years, or if it’s not relevant to the job application you are sending it for, you may be wasting valuable space on your CV. This means the reader might not get past this section before moving onto another applicant. Firstly, read the job description for the position you are applying for. Then, write your profile so it covers the essential points required. Remove outdated or irrelevant sentences and wording, ensuring that you are updating this section and it focuses on where your skill set needs to be for the application. This way, you can engage the reader straight away, so they are interested in moving onto the rest of the CV. Remember a profile written for an application years ago may not be relevant to you now. Especially as you may have gained recent experiences worth adding that could make all the difference. The profile is also a good place to tailor your career aspirations. This can be a central thread that runs throughout the CV. However, in your profile you can state what you’re looking for and what you can bring to a future employer. Aspirations will also change over time and depending on each application, it’s a good idea to work out what you want from the position before even sending a CV. If you haven’t had a go at updating your CV for a while, you may also find some of your employment history goes back quite a number years. Alternatively, it may be that there are now too many positions after you’ve added your most recent ones. Therefore, consider whether your less recent positions need to be on your CV relating to your current application. Assess if a position you held 10-15 years ago will help to secure an interview for this application. If it is not relevant, or the skill set is not transferable, then remove it. As a rule of thumb, it is wise to cover your last 10 years of employment history, or 4-5 positions within this time. This, however, is only a guide and if less recent positions do add value to your application then keep them. The key is to review, assess, then tailor to each application so your CV matches the skill set required and you go into the correct amount of detail. Don’t be afraid to remove older positions however; space is premium! A good CV will generally have a section that will focus on your key skills. Remember, skills from a CV you produced years ago may be outdated now. Alternatively, it may not be applicable to positions you are applying for in the future. Look to your recent career history and the skills you have gained, then amend this section again to focus specifically on the application in hand. For example, if you’re looking to apply for a customer facing position, highlight your skill set that demonstrates your customer service skills and how you have shown these in your employment. An employer can then see at a glance how you’ll fit within their business and what you can bring to it. It may sound obvious, but education and training forms part of your continuous personal development. It doesn’t normally stop at school. As well as ensuring you mention where you studied and the qualifications you gained, consider adding courses and training that you have attended within recent employment too. Especially if they’re relevant to the application. Employers also see recent courses and training as a sign that you are looking to improve and develop your skills. This is a very positive point to make when you’re updating your CV. It demonstrates your ability to learn and adapt which is essential if you are to work within a new business. So, you’ve read the application. Tailored and updated your CV and applied all the great tips above. Then you send it off and see what response you get back. Stop. Before you do that, check for spelling and grammatical errors. The best way to do this is proof read your CV and don’t ignore your software’s attempts to highlight any errors you may have made. Additionally, now you have your content ready, you may wish to review the format. Ask yourself: is the format outdated? For example a number of years ago certain points of your CV may have been underlined. This was used initially on typewriters to highlight text when there were limited options otherwise to do so. In 2018, there is no need to underline text as you can use bold text, change font size, or use italics with ease. Therefore, ask yourself if the format can be modernised to focus and engage the reader. Older formats can show a lack of effort so attention to detail is paramount. 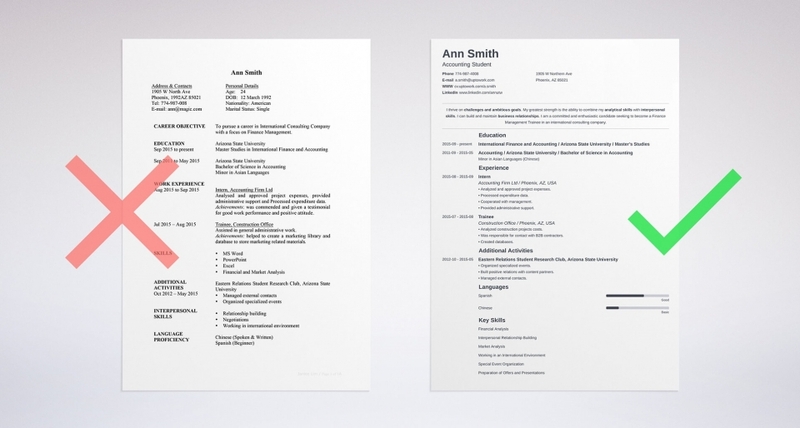 Download Free CV Templates Online. Job Application Curriculum Vitae (CV)-Download Template. The worst part comes when you think you’ve finally got a great CV, but you’re still not getting any interviews. Last year, you might have updated your CV or not. That’s the first mistake, not updating your CV. If you did, see the mistakes you might have made below and correct them soonest. If you have hobbies that will have you viewed in a strange light, they might be better kept to yourself. Common hobbies of reading or writing, even working out are acceptable choices. Hobby lists should be kept short and precise. If you loved this piece of advice, please share it on social networks, it might help someone else too.